Nerd Know-How: The 27+ Best Apps for Work… & How to Use ‘Em! You’ve heard about apps that can transform the way you work, but you never have the time to figure out how to use them. You’re too busy rushing from meeting to meeting and juggling your family and your “life”. 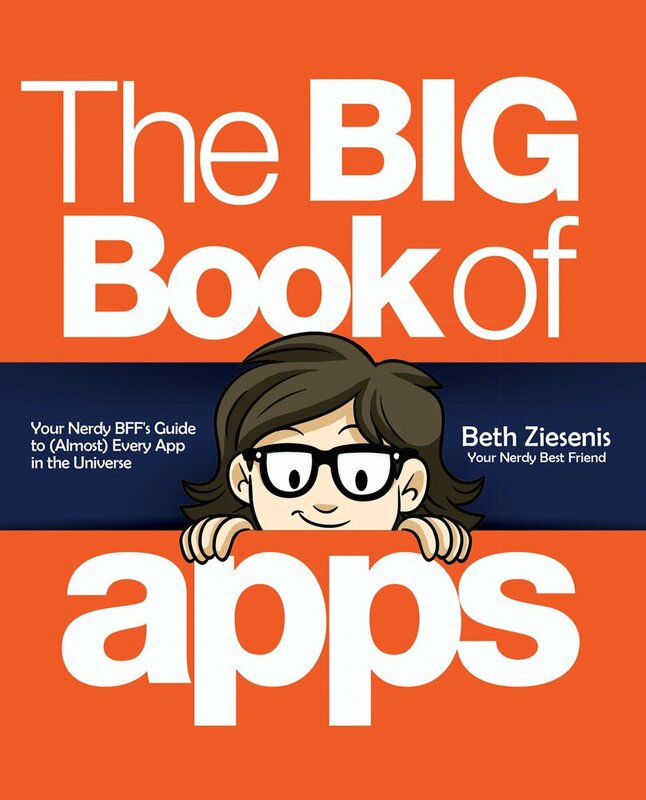 This book by Beth Ziesenis of Your Nerdy Best Friend does the work for you. With practical tips and a whole lot of humor, Beth walks you step by step through 27+ essential apps for work and home, plus hundreds of other resources and lists. Nerd Know-How brings you into the nerdy world of Beth Z while you discover apps to help you organize your work and life, collaborate with others, share your knowledge, design anything creative, create images and videos, travel the world, outsource your busy work and Google smarter. Ever feel like everyone but you knows about apps and tech tools that make life easier? It’s time to release your inner nerd to embrace technology and discover which apps and programs will help you become more productive, creative and awesome. For the first time ever, nerds are sought after and celebrated for their expertise. 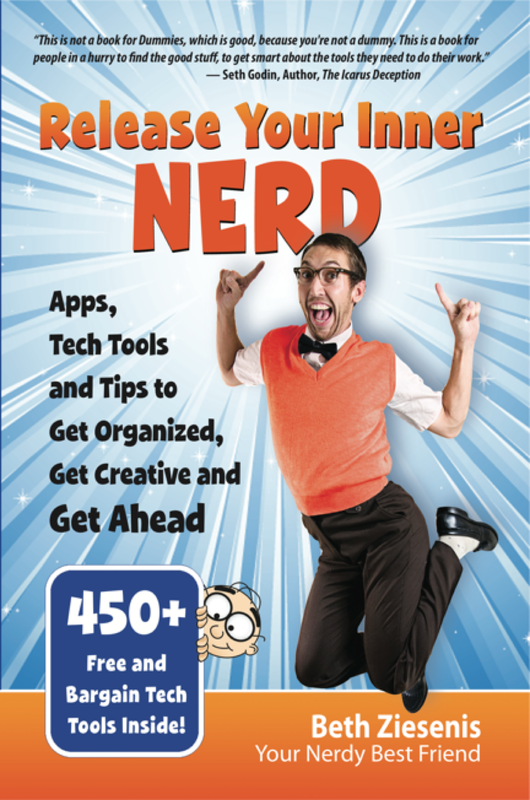 Author and professional speaker Beth Ziesenis, Your Nerdy Best Friend, shares hundreds of her favorite apps, websites and software that will transform you into THE nerd at home and in the office. Learn how to get more from technology you already own with the 450+ free and bargain tech tools inside this book while you dazzle your family and co-workers with the latest in technology. Chapter 1: Cloud computing, backups and remote access. Chapter 2: Computer tools and utilities. Chapter 3: Essential office software. Chapter 5: Task and project management. Chapter 7: Time management tools. Chapter 8: Email and information management tools. Chapter 10: Personal and business financial tools. Chapter 12: Graphic sources and templates. Chapter 14: Image and multimedia editing. Chapter 15: Presentations and surveys. Chapter 17: Online event management.